Enterprise Mobility Solutions: How technological revolution is disrupting the Oil & Gas industry? In the past few years, oil & gas industry has gone through a bad time. Increase in global demand for oil & gas, decrease in the supply, dispersed assets and workforce in remote areas, a huge volume of complex data, and ever-changing regulations – these were some of the challenges faced by this industry. However, advancement in the technology has made things better for the oil & gas companies. The industry is recovering gradually and has been able to improve production at lower costs by implementing technological solutions. In the upcoming years, oil & gas industry is expected to invest a whopping amount in enterprise mobility solutions. 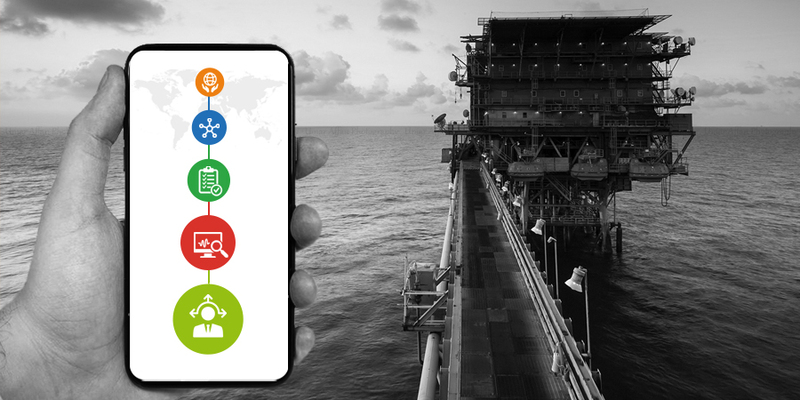 As a matter of fact, integration of mobile technology with the entire value chain of the industry can help oil & gas companies achieve operational excellence, track supply chain and workforce, etc. Why the oil & gas industry must move to enterprise mobility? Mobility is a great tool for oil & gas companies to improve their upstream, midstream and downstream operations. The right enterprise mobility solution helps the oil & gas industry achieve more with the less. Mobility solutions enable managers and workers to store and retrieve accurate information anytime, anywhere on their mobile devices. It streamlines the entire process, resulting in quick and informed decision-making. Moreover, managers and supervisors can prioritize tasks and focus on improvement areas. 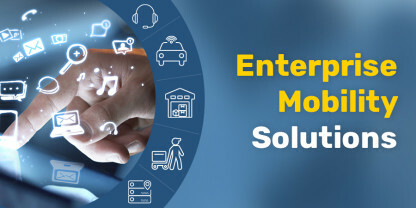 Mobility solutions resolve the issue of connecting with field workers and enable communication in real-time. Employees from different geographical locations can collaborate on complex projects with their managers, which, in turn, can enhance their efficiency and productivity. Mobile technology helps analyze the real-time condition of machines and assets, and alerts the oil & gas companies of malfunctions and unforeseen risks. Besides, by harnessing the power of mobility, organizations can perform environmental assessments and take corrective actions. Real-time monitoring of assets, inventory, fleet, and the workforce is feasible through mobile solutions. The work can be recorded in real-time as it is being performed which allows visibility to project managers into what is being accomplished. As regulations keep on evolving and changing consistently, it is challenging for the oil & gas industry to stay compliant with the latest regulations. Mobility solutions help meet this challenge by letting oil & gas companies understand the regulations and obligations that are applicable to them at the site level or globally. Real-time information is the need of the hour as it is quite difficult for oil & gas companies to manage the onshore and offshore operations effectively without it. Time and data are valuable resources for oil & gas companies to stay competitive and drive incremental improvements, control and efficiency. A mobile strategy is a must while defining the roadmap for digital transformation. Deployment of mobility solutions results in operational efficiencies and reduced cost of maintenance. Copyright 2019 © Ranosys Technologies Pte Ltd. All Rights Reserved.